"a great original mix with downtempo soul tracks, hip hop instrumentals, funk and even a couple of blues vocal/funk rock style tunes"
Long-time friends Nostalgia 77 and Natural Self set about working together on a collaborative project entitled The Broken Keys. For anyone familiar with their solo releases, this prospect alone was something to get excited about. Over the past five years, the two young producers have spanned the realms of jazz, funk and hip hop, reinventing each in their own inimitable style. No one, however, could have predicted just how compelling the results of their first joint venture would be. Try to imagine what the Gorillaz would sound like if they went x-rated, or dream up a wild combination of MF Doom, Edan, James Brown and Jimi Hendrix and you might be getting close to the sound of The Broken Keys. 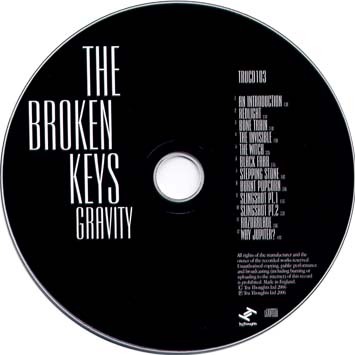 'Gravity' captures everything we know and love about the great funk, soul and classic rock LPs of the 60s & 70s and fuses it with the hard-hitting hip hop records of today. 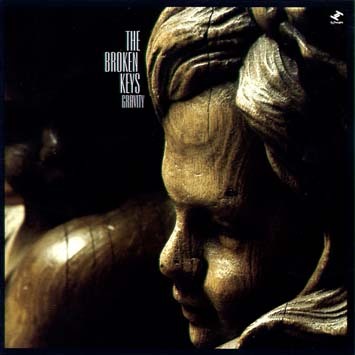 Put simply, The Broken Keys are quite unlike anything Tru Thoughts have put out to date. From the piano-led B Boy ballad of 'Redlight' to the wide-eyed voodoo-child preacher funk of 'The Witch' or 'Razorblade', this is an album built on solid beats and accomplished musicianship - perfect for home listening as well as tearing up dancefloors the world over. 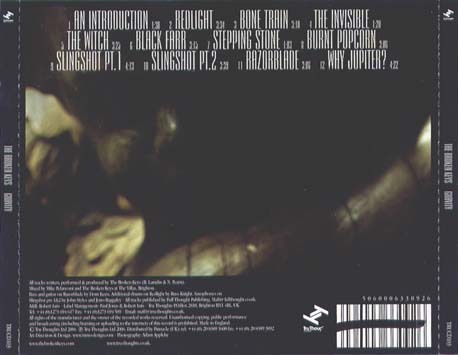 The album also benefits from a hugely authentic sound, achieved by combining the best vintage studio equipment with modern production techniques and the ubiquitous sound of the sampler. In short, it's everything you miss about the old discs, but with the depth and excitement of a modern recording.